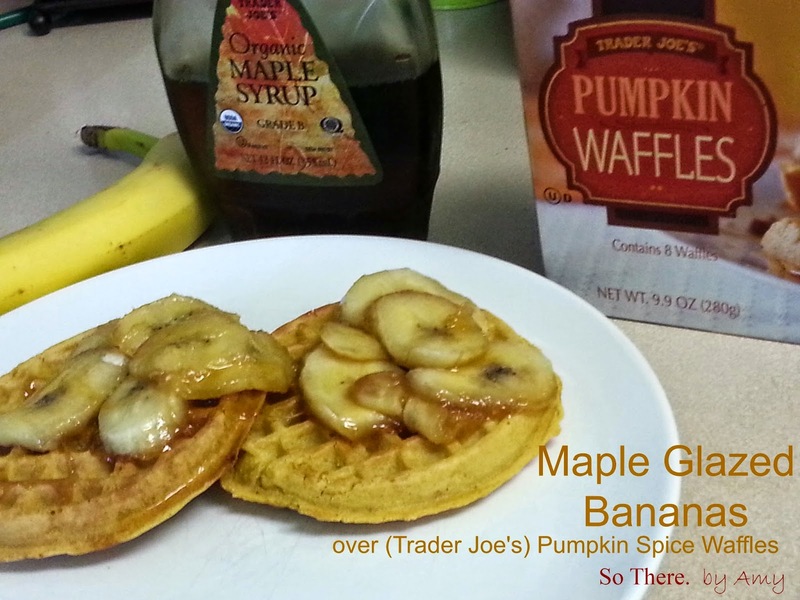 This yummy fall breakfast is so simple and quick - you could make this on a weekday, or weekend! 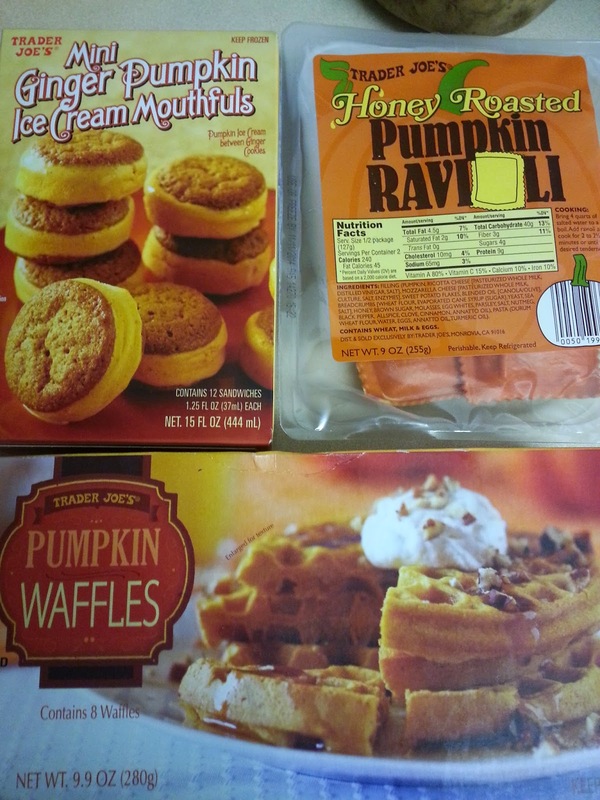 I love making pancakes on the weekends, but when Trader Joe's 'pumpkin everything' season comes around, I find gems like these frozen pumpkin spice waffles! 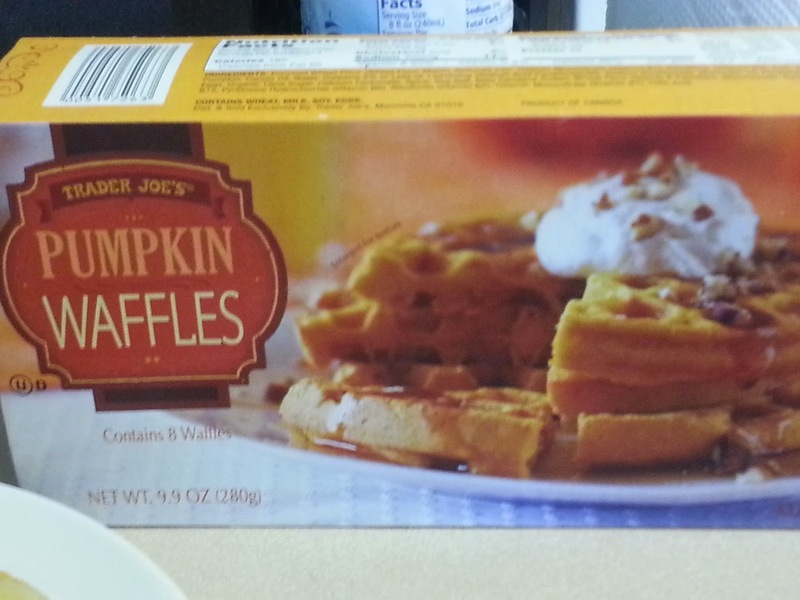 They look just like Eggo waffles, but slightly more healthful, and full of pumpkiny spiced flavors! I love fall. (Even if our weather here is still more like summer). waffles (or pancakes, or french toast!) of choice. Preferably with pumpkin puree and/or pumpkin pie spices added. Slice your bananas on an angle, to get a good, long surface area on each slice. Heat a saute pan over medium-high heat. Spray a bit of cooking spray in the pan, to help the gooey bananas come out of the pan a bit easier at the end. 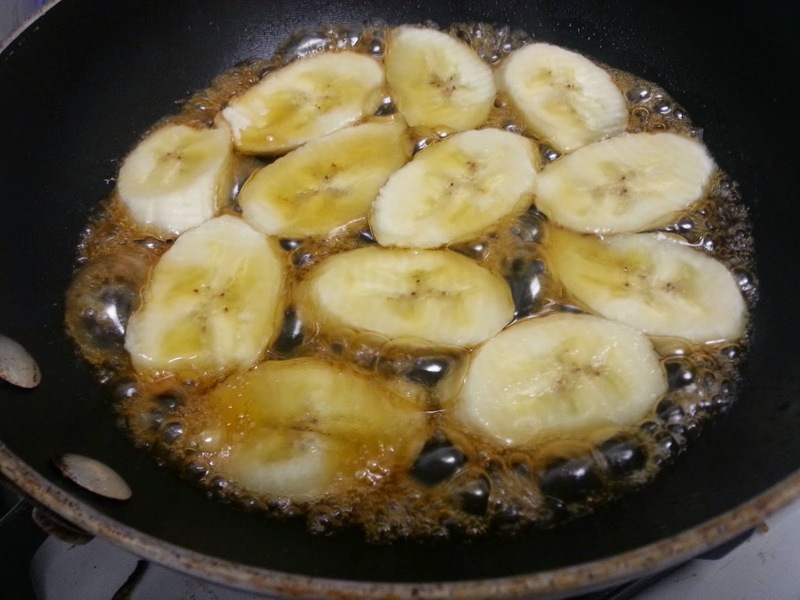 Pour maple syrup into pan, and lay banana slices in one flat layer in the pan on the syrup. Let it bubble and reduce, until it turns into almost a sticky caramel glaze on the bananas. 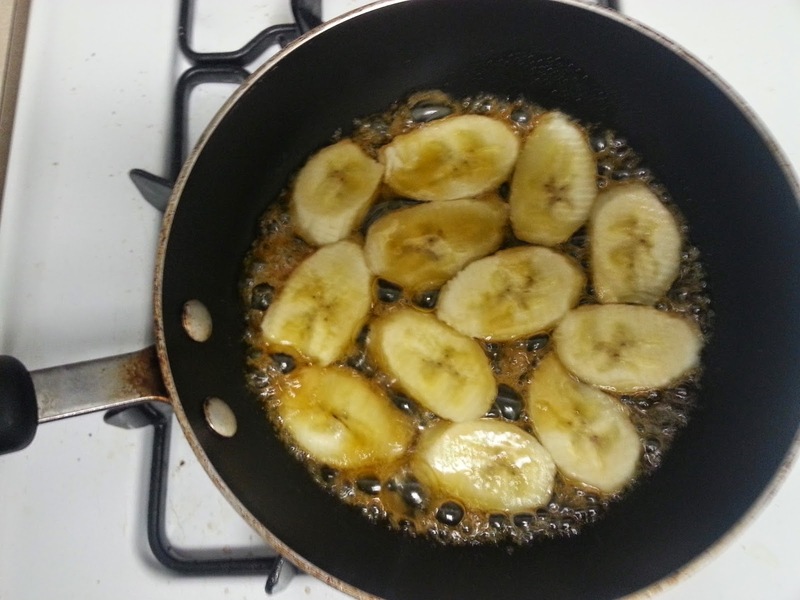 You can swirl the pan around a bit, to coat bananas, but don't stir, or try and flip them, as they will fall apart. 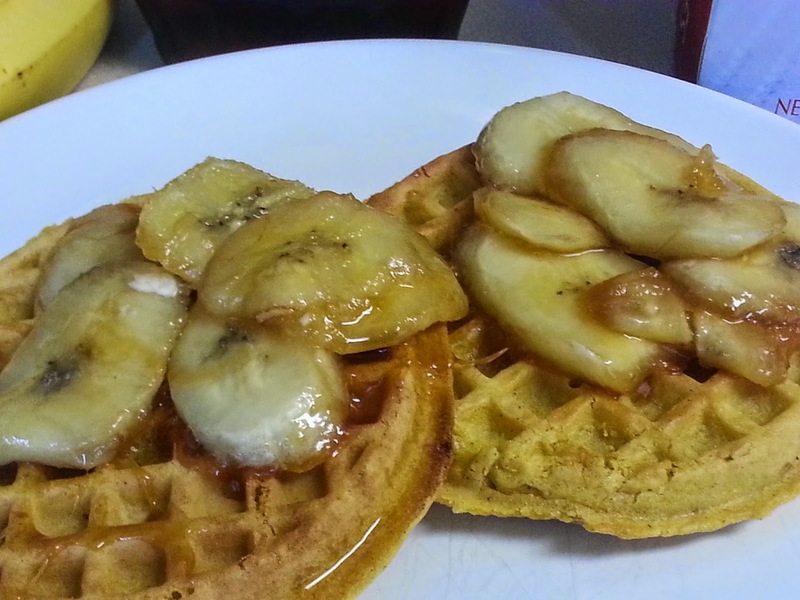 Once reduced as much as possible, without burning, use a spatula to pour bananas over the top of your pumpkin spice waffles. 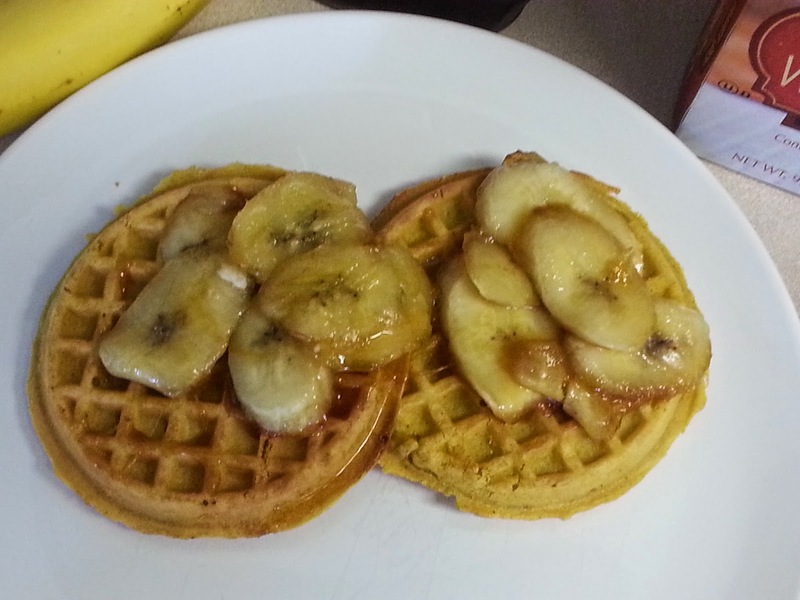 You can butter the waffles, if desired, or spread them with coconut oil, before you top with the bananas. These would be even more decadent with a huge pile bit of whipped cream on top! Yum! Warm, fall-festive breakfast! So delicious. and super easy.